Where do I use my TripAdvisor voucher code? Follow our link to the TripAdvisor website and browse for your chosen destination. Click on it, choose your dates and select ‘Book Now’. In your basket, paste your promo code in the box beneath your order and click ‘Apply’. Click ‘Proceed to Checkout’ to complete your purchase. What started as a travel review website in 2002, has now become the world’s leading peer-review travel tool with over 535 million customer reviews of more than 7 million accommodations, airlines, attractions and restaurants. 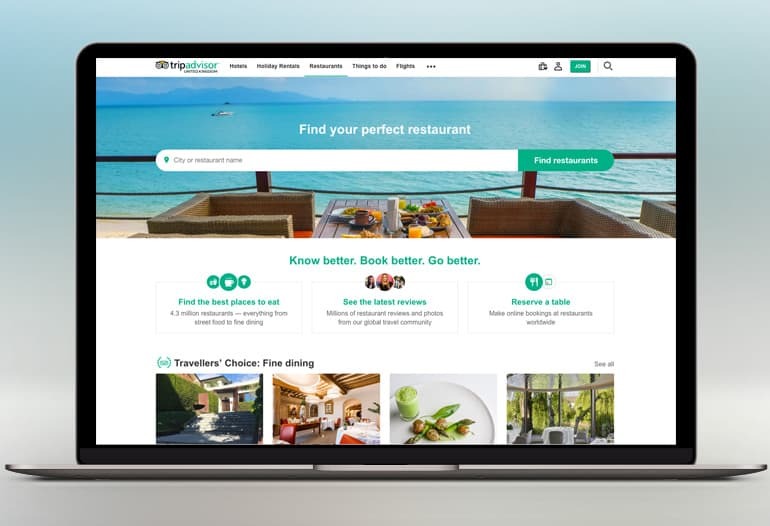 As well as helping you make the right choice when it comes to hotels, restaurants, and attractions, Trip Advisor will also help you find low-cost airfares, free travel guides, worldwide holiday rental listings, popular forums with advice about virtually every destination, and more. Trip Advisor compare prices from 200+ websites to find you the lowest prices, and highest reviewed places in your current and intended location, and nearby. If you’re after self-catering accommodation then you don’t want to take chances, and Trip Advisor has a range of properties around the world that you can make your own. If you’d rather have the hard work done for you, check out the hotels section where you’ll find everything from 5-star luxury to bog standard rooms, or check out the things to do section where you’ll find great must-see attractions and highly appraised places to go both at home and while you’re on holiday. If you’re heading out on a city break or want a nice evening meal for you and your partner, check out the restaurants section for 5* restaurants, bars, diners and bistros where you can browse the menu, hear customer feedback, see ratings and even pictures, to ensure you’re not disappointed once you arrive. Trip Advisor has a travellers choice section on their website which allows you, the traveller, to browse the year's top hotels, airlines, restaurants, museums, beaches, destinations, landmarks, attractions and holiday rentals and see which have been highly rated and recommended the most overall by fellow travellers and critics. Each year Trip Advisor tops up the reviews and stars of each place and presents awards to the hotels, companies, brands, airlines and destinations that have been rated the highest over the course of the year. These winners and the winners of previous years are then placed in the travellers choice section to give you some extra inspiration if you’re looking for the best of the best. If you’re travelling to London, and want the best accommodation for your money then visit TripAdvisor. With so many discounted hotels, accompanied by honest reviews and ratings, you’re sure to find somewhere that’s affordable without compromising on quality. It’s not just hotels either. Simply enter the dates you want to travel on and find low-cost flights from well-trusted brands to and from London as well as tons of attractions, restaurants and things to do whilst you’re there. Visit the most popular, highly recommend places in London and find some inspiration in the travellers choice section that has voted London one of the top destinations in 2017. Edinburgh is a top location in the UK, with plenty of traditional Scottish hotels, castles, landmarks and pubs. During your stay in Edinburgh you can enjoy the likes of Calton Hill, Arthur’s Seat, Edinburgh Castle and much more, all of which have reviews and ratings that you can trust on Trip Advisor. Find the perfect hotel, flights, restaurants and bars with the help of handy traveller reviews and feedback, and ensure you’re visit to Edinburgh is filled with positive experiences and high quality service. What is the just for you feature? The Just for You feature provides more personalised hotel recommendations to you based on your individual preferences and travel research on the site. Find more information here. Accommodations & Attractions: Reviews for subsequent visits may be submitted three months after the publication of your last review. Restaurants: Reviews for subsequent visits may be submitted one month after the publication of your last review. You can only submit an updated review once for the same experience. When you need some sound advice before setting off on your travels, look no further than Trip Advisor. This is your ultimate travel tool to find great value flights, hotels, attractions, restaurants and more, both abroad and on your own turf. With over 500 million candid traveller reviews you can trust in Trip Advisor to give you honest, valuable information that’ll help you to book the highest rated places at the most affordable prices. 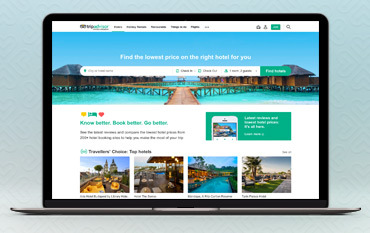 With a TripAdvisor promo code, you can save even more on all your travel bookings, on top of the 30% discount Trip Advisor already supply with competitive prices that they compare from 200+ holiday sites. We are constantly on the hunt for Voucher Codes for TripAdvisor to help you with your money saving. Our experts check dozens of sites for secret codes including NHS discounts, student sites & social media channels saving you time & money!